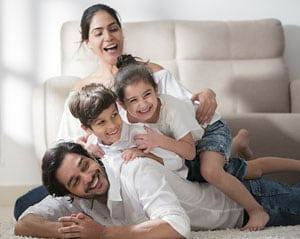 Term Life insurance is the purest and most cost effective form of life insurance. This type of life insurance provides financial protection to the nominee in case policyholder dies during policy term. Term Insurance policies provide high life cover at lower premiums. For eg: Premium for `1 Cr Term Insurance cover could be as low as `490** p.m. These fixed premiums can be paid at once or at regular intervals for the entire policy term or for a limited period of time. Premium amount varies basis the type of the premium payment method opted by the buyer. Your family depends on you: The term insurance money can be used to meet your family’s monthly expenses and important goals like your child’s education. Your assets need protection: You may take loans for assets like a house or a car. However, if something happens to you, your loved ones might be burdened with loan repayments. In such a situation, the term insurance payout which your family will receive can be utilized in paying off outstanding loans. Lifestyle risks:Modern day lifestyle problems can lead to a host of ailments. Some term insurance plans don’t just protect your family after death but also during your lifetime by offering critical illness ^ protection. This feature pays out on the diagnosis of certain critical ailments like cancer or heart attack. Anyone with financial dependents should buy a term insurance policy. This includes married couples, parents, young professionals, SIP investors and in some cases, even retirees. Life Insurance premiums paid are deductible from taxable income under Section 80C and hence carry a double benefit for taxpayers – protection and tax-saving. The payment (maturity value) received under an insurance policy is also exempt subject to conditions under Section 10(10D) of the Income Tax Act, 1961^^. Term insurance also has among the lowest premiums among the different types of insurance policies. Hence, individuals who derive any of the three major benefits associated with term insurance should consider buying such policies. The three major benefits are – life protection, tax saving and affordable premiums. Parents are generally the sole source of financial support for their children. The needs of children extend from school fees and living expenses to hefty university fees, later on in life. The unexpected demise of a parent can jeopardize this future and deprive children of life’s opportunities. Parents must ensure that this scenario does not come to pass, by taking out a term insurance policy. This policy will pay out a lump sum and/or income to satisfy their children’s expenses, in the event of the death of the parent(s). Roses, chocolates and movie tickets are great, but here’s a truly long lasting gift for your spouse – term insurance. This gift will give your spouse more than momentary joy, it will secure their life’s future. Term insurance assures the spouse of financial support in case the insured person passes away and should be purchased as soon as possible by married couples. Young professionals are just starting their careers. Many of them are not yet married and have no financial dependents. However this is likely to change in the future as they get married or support their parents/relatives. Such individuals should buy term insurance now rather than wait. This is because once a policy is purchased, the premiums stay the same throughout an individual’s life. On the other hand waiting to buy term insurance in the future can force customers to pay higher premiums because term insurance premiums rise with age. 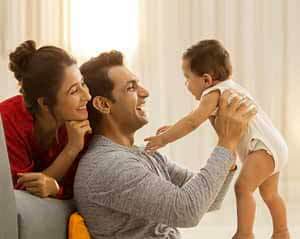 Term insurance premiums paid are allowed as deduction from taxable income under Section 80C of the Income Tax Act, 1961^^. The term insurance payouts on maturity are also exempt from tax subject to conditions under Section 10(10D). Hence taxpayers can use term insurance to significantly reduce their tax burden. Investors in mutual fund SIPs (Systematic Investment Plan ) invest a fixed amount every month in a mutual fund. The wealth creation in an SIP is driven by a stream of regular installments which compound over time. However the untimely demise of the investor can stop the flow of installments. Term Insurance can protect the SIP by providing the nominees of the insured person with funds to continue the SIP. Retired persons need to have term insurance if they have dependant spouses or families. Buying term insurance can also be a way of leaving an inheritance for their families. This is because, term insurance is paid out to nominees on the death of the insured person. The payment of term insurance is also tax free subject to conditions under Section 10(10D) of the Income Tax Act,1961^^. High Life Insurance Amount at affordable premiums: Term insurance plans provide large amount life insurance cover at an affordable premium. This cover can compensate for several years of lost earnings. Cover Against Critical Illnesses^: Along with providing life cover, a new-age term plan like ICICI Pru iProtect Smart also provides protection against critical illnesses. For a small additional premium, Critical Illness Cover provides lump sum payments when a critical illness like a heart attack, cancer, kidney failure etc is first diagnosed. Support In Case Of Disability##: In new-age Term plans such as ICICI Pru iProtect Smart, the insurance company pays your future premiums in case of total and permanent disability. As a result, your life insurance cover continues even if you are unable to pay premiums. Additional Security: To increase the security of your family, a Term Policy provides additional pay-out (up to `2 crores) in case of an accidental death+. For example, if your Life Cover is `1 crore, a Term Insurance plan with Accident Cover pays `2 crores to your family in case of an accidental death+. Tax Benefits: Term Insurance plans offer tax benefits^^ on premiums paid up to `46,800 under Section 80C. New-age Term plans with critical illness cover also offer additional tax benefits on premiums paid up to `7800 under Section 80D. You also get tax benefits^^ subject to conditions under Section 10(10D) on the money that your family receives in case of an unfortunate event. How to choose Best Term Insurance Plan? Claim Settlement Ratio: This ratio tells you how many claims for life insurance have been paid out as a proportion of claims made. The higher this ratio is, the better. Solvency Ratio: Solvency ratio tells you whether the insurer you choose will be financially capable of settling your claim if the need arises. IRDAI mandates that every life insurer should maintain a solvency ratio of at least 1.5. Option to add Critical Illness Benefit^: A critical illness like cancer or brain surgery can cost a lot of money and cripple the family’s finances. Critical illness protects your family from this risk. It pays out immediately on diagnosis and only medical documents confirming diagnosis are to be submitted3. Fact: Critical illness covers with term insurance plans are very popular. One in three of our customers also attach a critical illness cover to their term plan`. Option to add Accidental Death Benefit+: If you have opted for Accidental Death cover, your family will get additional pay out in case of death due to an accident, subject to maximum of `2 crore. Waiver of Premium on Terminal Illness##: In case the person covered by the policy gets affected by terminal illness, his/her future premiums will not need to be paid. 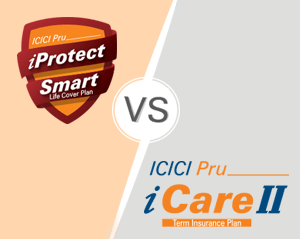 Why choose ICICI Pru iProtect Smart? It fits in your tight budget: After paying your monthly rent, phone and light bills, a term insurance premium can be difficult. ICICI Pru iProtect Smart’s affordable premiums make sure it isn’t. It gives you longer cover: The best time to buy life insurance is now. Buying now will ensure that you get life cover at low premiums for the desired term. ICICI Pru iProtect Smart can cover you till the age of 85 and you also have option to get whole life insurance till age 99. It gives you option to cover 34 critical illnesses^:ICICI Pru iProtect Smart pays on the diagnosis of any one of 34 critical illnesses. No hospital bills are required3. 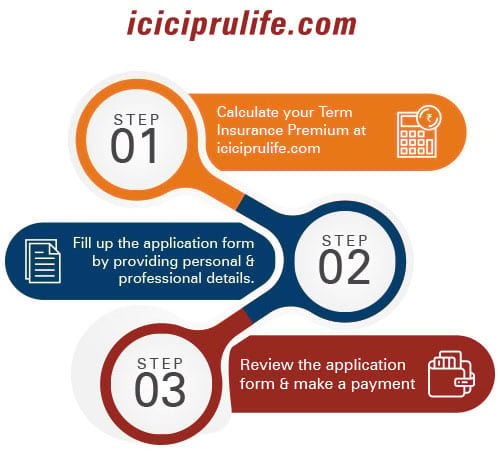 It provides you option of lump sum or income: ICICI Pru iProtect Smart allows your family to get their life insurance payout as a lump sum, income or a combination of both. A lump sum payment is a single payment made to the nominee on the death of the insured person. An income payment is a series of annual or monthly payments, made to the nominee on the insured person’s death. The latter option can save your family from the hassle of managing and investing a large sum of money. It gives you accelerated pay out in case of terminal illness##: ICICI Pru iProtect Smart pays out your insurance cover even before death, if you are affected by a terminal illness. It provides you Protection against other claims: You can buy the insurance policy under the Married Woman’s Property Act++. This protects the money paid under the policy from other claims. It thus provides an additional layer of protection to your family. How to Buy Term Insurance online? 2. Complete the application form by answering some simple questions about your personal & professional life and health details. 3. Review the form and make payment. How much should be the Term Insurance policy period? How Much Term Insurance Cover you should get? 1. Why is Term plan the best? Ans. Term plans give financial protection to your family at affordable rates. You can get a large amount of life cover (i.e. sum assured) at a relatively affordable premium rate. The benefit amount is paid out to the nominee in case of death of the person insured. 2. What is the difference between term plan and traditional life insurance plans? Ans. Term plans provide financial security to the family in your absence, whereas, traditional plans are investment plans where you get returns (i.e. cash back). Term plan gives a large sum assured at affordable rates whereas traditional plans gives you limited cover. 3. What policy term should I select? Ans. Policy term should be for the longest tenure to cover your financial liabilities and provide financial stability to your family. You should choose to be protected till the age of 99 or 85 or 75 as per your needs. 4. Which is the best Term Plan? Ans. We have been awarded 'Best Term Insurance Provider' at Money Today Financial Awards 2017-18 and "Best Insurance Firm of the Year 2018 - Life Insurance" at the Moneycontrol Wealth Creator Awards. 5. How does the Limited Pay option work in Term Insurance? Ans. Limited Pay option is a great option where the customer pays premium for a limited period (5, 7 or 10 years) and enjoys the benefits of the plan for a longer term (like age till 75, 85 or 99). The limited payment option can help customers save on premium. ** The premium rate is of life option, regular pay and Income Payout option of ICICI Pru iProtect Smart for 25 year healthy male for policy term of 15 years and inclusive of tax. Yearly premium will be ₹5,444. You can choose to purchase other variants of the product as per your needs. For more details, please refer the product brochure. ~Claim statistics are for Financial Year 2017-18 and is computed basis individual claims settled over total individual claims for the financial year. For details, refer to Public Disclosures in our Website. ^Critical Illness Benefit is optional and available under Life and Health and All in One options. This benefit is payable, on first occurrence of any of the 34 illnesses covered. The CI Benefit, is accelerated and not an additional benefit which means the policy will continue with the Death Benefit reduced by the extent of the CI Benefit paid. The future premiums payable under the policy will reduce proportionately. If CI Benefit paid is equal to the Death Benefit, the policy will terminate on payment of the CI Benefit. To know more in detail about CI Benefit, terms & conditions governing it, kindly refer to sales brochure. Critical Illness benefit is available till age of 75. +Accidental Death benefit is up to ₹2 Crores. Accidental Death Benefit is optional and available in Life Plus and All in One options. Accidental Death Benefit cover is available upto age 80. ++Nothing herein contained shall operate to destroy or impede the right of any creditor to be paid out of the proceeds of any policy of assurance, which may have been effected with intent to defraud creditors. Unless taken otherwise with the intent to defraud creditors. In case of any third party claim in the Courts of India with regards the insurance proceeds, the amount shall be subject to the judiciary directions. Please seek professional legal advice for the applicability of this provision. ^^Tax benefits under the policy are subject to conditions under Section 80C, 80D, 10(10D) and other provisions of the Income Tax Act, 1961.Tax laws are subject to amendments made thereto from time to time. Please consult your tax advisor for details, before acting on above. ## Refer the product brochure for the definitions, exclusions and other terms and conditions applicable for Permanent Disability due to accident and Terminal Illness. `Based on number of policies sold online between January 2016 - February 2017. $As per IRDA Annual Report 2017-18. 3. Only doctor’s certificate confirming diagnosis needs to be submitted. The benefit is payable only on the fulfillment of the definition of the diagnosed critical illness. ICICI Pru iProtect Smart UIN 105N151V04.